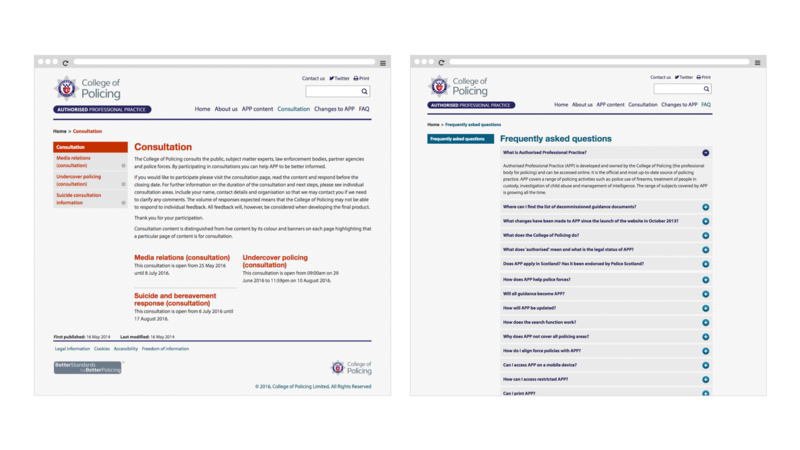 Bang worked with the College of Policing to deliver a new online resource specifying guidance and resources for police forces on subjects from Information Management to Counter Terrorism. 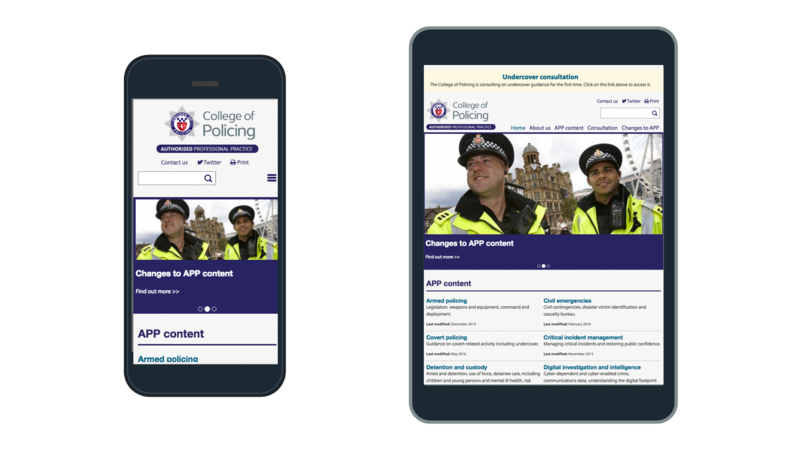 The College of Policing needed to create a new website/application to manage and make available information about Authorised Professional Practice (APP) . 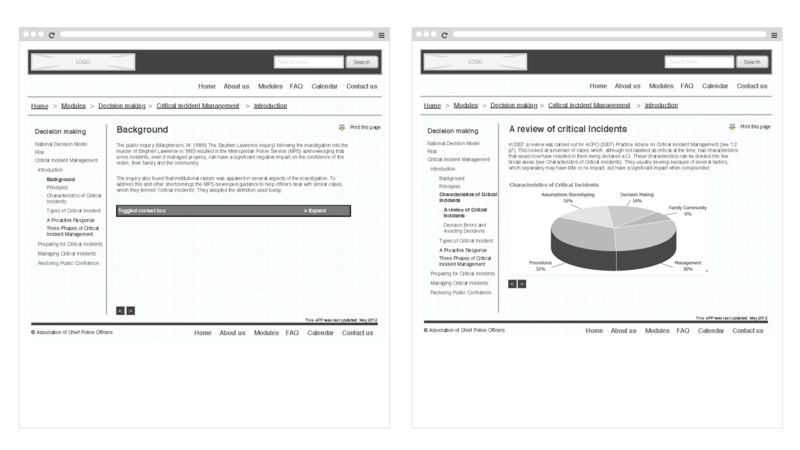 The information was previously distributed as a series of interactive but unconnected PDF files and the material was generally developed using Microsoft Word. Bang were commissioned, via G-Cloud, to develop the website which needed to be very simple and easy to use and update, portray gravitas to reflect the nature of the content and be available across a range of devices. It also needed to immediately convey to users that it will do what it says on the tin and present a professional policing image. 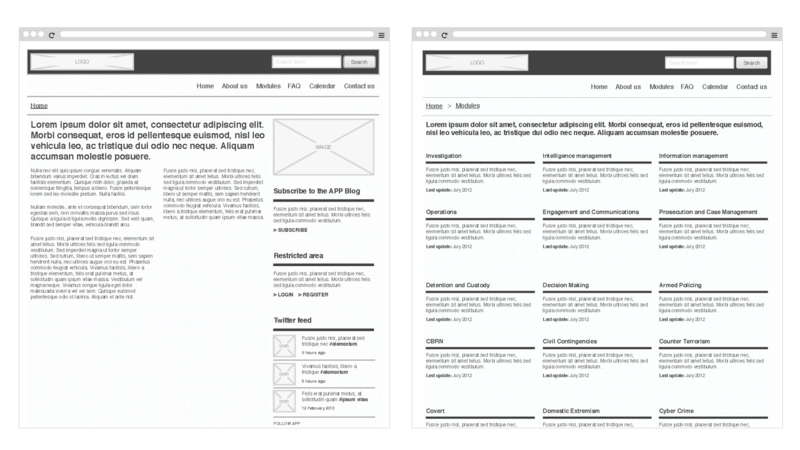 Visual Design, CMS Build, Testing, Hosting and support. At the start of the project we created user stories describing who the user is, what they need from the application and the benefit they will derive from using the application. From here we prioritised a list of features with the College and created a product backlog. Through a series of sprints we have rapidly created various pieces of functionality to meet users requirements. The client is an integral part of the team and regular review and testing session have been scheduled in. Our process ensures that the team is able to focus and delivery on time and on budget by removing impediments and building an environment people can work in effectively. A space where communication flows and a light guiding touch is provided by the scrum master. Our design and development team have worked hand in hand with the College brand manager and content specialists to explore and refine options. 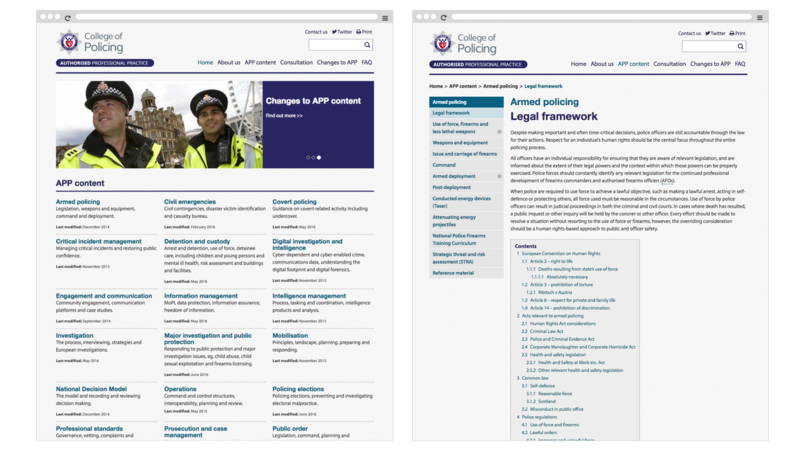 We have also undertaken extended user testing with a wide range of users from across the Police Force. The end result is a far more user friendly, intuitive and informative application that provides a product of real and on-going value for the police force and the public. Our DevOps team also made the site live within an IL3 environment.